William Powell Frith, The Railway Station (1862). Royal Holloway College, London. The Victorian Age is one of mobility and of transportation: goods, people and money were transported within Great Britain, across Europe, and to the far reaches of Empire. Ideas – whether economic, political, educational, religious or philosophical – were imported and exported. And far from being unemotional, the Victorians were also regularly ‘transported’ by emotions which doctors, scientists and psychologists tried to theorise. This conference seeks to redefine the parameters of transport through inter-disciplinary approaches to material, metaphorical and metaphysical journeys during the Victorian era. Papers on global crossings are particularly welcome. 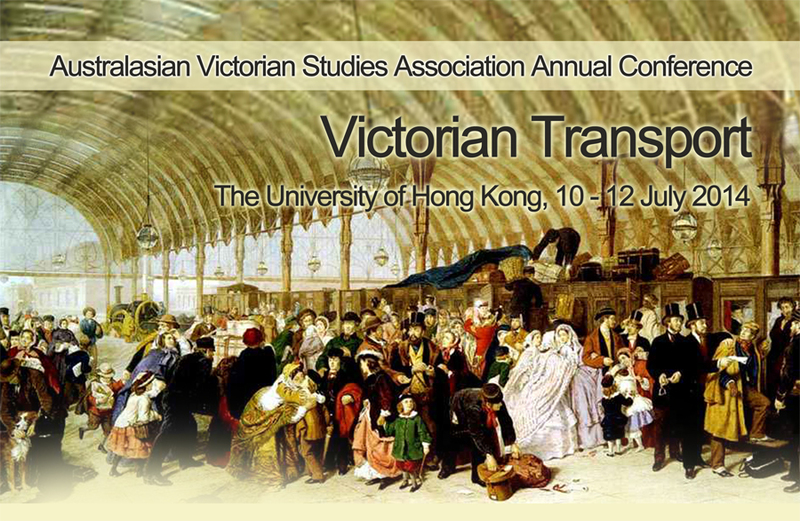 A special section of the conference calls for papers on Victorian Transport related to China and the ‘China-West’ axis. Please signal in your application whether you would like your paper to be considered for inclusion in any of these ‘China’ or ‘China-West’ panels. Five postgraduate travel bursaries will be awarded by the Conference Committee, on the basis of need and merit. Please include a short covering letter and cv in your application for such funding. Abstracts of up to 300 words, together with your biodata (ca. 100-150 words), should be sent to: avsa2014@hku.hk. Deadline for Abstracts: 30 November 2013. Notification by end-January 2014. The conference will take place on the (new) Centennial Campus of the University of Hong Kong, on the 3rd Floor of the Run Run Shaw Tower (i.e. the Arts Building). We are now open for a discounted early-bird registration (discount of 40AUD). Early-bird registration ends on 10 April when we will start regular registration. Please look at the drop-down menu below, which will take you into the PayPal website for payment. Do note that there are several options in the drop-down menu you can chose from, waged/unwaged and with membership/without membership. If you have not already paid your AVSA membership fee for 2014, you must slect the "non-members" option, which includes the AVSA membership fee. All paper presenters must be AVSA members for 2014. Note that this is a fixed seafood banquet, and the menu includes: Crab Meat and Sweet Corn Soup; Deep Fried Squid with Sweet and Sour Sauce; Prawn with Salt and Pepper; Baked Lobster; Deep Fried Fish with Sweet and Sour Sauce; Steamed Scallops; Beef Fillet with Wasabi; Seasonal Vegetables; Fried Rice with Vegetables; Seasonal Fruits. Note that all dishes are gluten-free. Please contact us if you are a full vegetarian (i.e. not pescetarian); we can order some additional vegetable dishes. Also contact us if you have any other dietary restrictions or want to enquire about children prices. avsa2014@hku.hk. We have negotiated special deals with three hotels in the HKU vicinity. These are not quite in walking distance -- Hong Kong is hot and humid in July, too -- but a very short, cheap cab ride away. Room prices start at (per night) 880 HKD (Ramada Hotel Hong Kong), 990 HKD (Traders Hotel) and 950 HKD (Island Pacific Hotel) – add to these the cost for breakfast, and a tiny bit more for double or multiple occupancy. We will have information about (limited) accommodation in the student hall St John’s College by end March 2014. Stay in touch with us for updates if you are interested in this option. Take the Airport Express Train from the Airport to Hong Kong Station, Central District – The train fare is HKD100 for a single trip and the train ride is 24 minutes. The train arrives in an Arrival Hall connected to a taxi rank. It takes only a minute to cross from the train to a waiting taxi. Then take a taxi from Central District to the university. For off-peak hours, the taxi fare should be around HKD60, plus luggage fee. 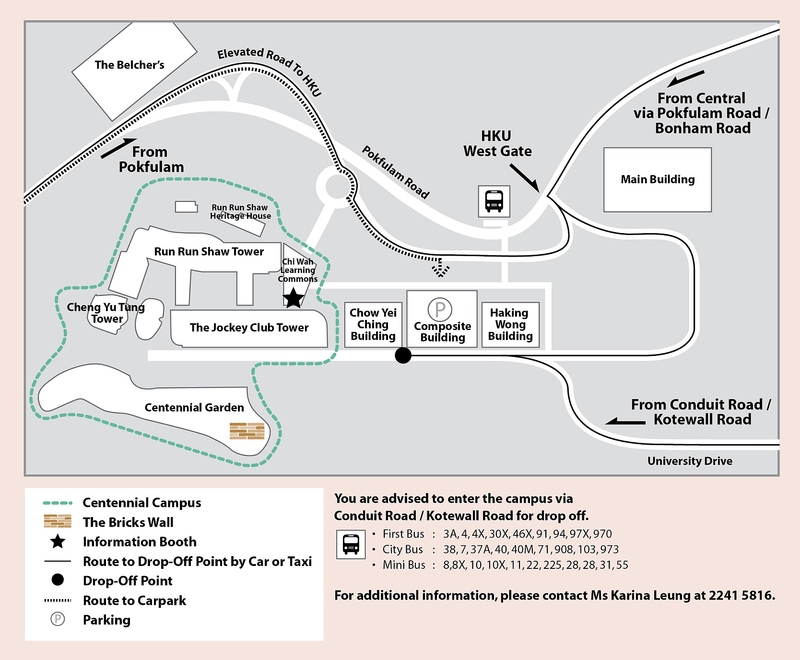 The traveling time from Central to the HKU campus is around 15 minutes. Take the Airport Express Train from the Airport to Kowloon Station - The train fare is HKD90 for a single trip and the train ride is 20 minutes. There are signs in the Arrival Hall leading you to the taxi rank, and you can take a taxi to your hotel on Kowloon side from there. Most taxi drivers understand enough English to get you where you want to go. But it may be helpful to show the hotel address to the taxi driver. Take the Airport Express Train from the Airport to Hong Kong Station, Central District – The train fare is HKD100 for a single trip and the train ride is 24 minutes. The train arrives in an Arrival Hall connected to a taxi rank. It takes only a minute to cross from the train to a waiting taxi. Then take a taxi from Central District to your hotel on HK Island. Most taxi drivers understand enough English to get you where you want to go. But it may be helpful to show the hotel address to the taxi driver. Cityflyer Bus no. A11 from Airport to Central – The buses are located at Level 4, Ground Transportation Centre. Allow at least an hour for the bus ride. The fare is HKD40. Have a few HKD10 coins and notes with you, as exact fare is required (You can change HKD at the airport). 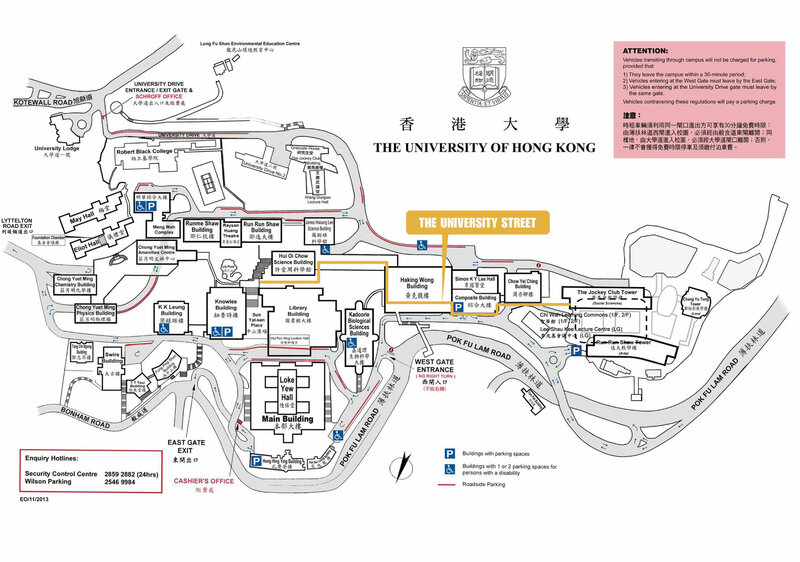 Then change to a taxi in Central to where you want to go (HKU or your hotel). If your budget allows, simply take a taxi from the Airport to where you want to go. Red taxis go to HK Island; green taxis go to Kowloon side. This is clearly demarcated on the Airport Taxi rank where you will find two different queues. The trip to HKU or to the Traders, the Island Pacific or the Ramada costs about HKD350 and the traveling time is approximately 45 minutes. Please note that you’re always asked to pay tunnel/ highway fees and a small extra for luggage (5HKD per item in the trunk).